Do you know what today is? It's another foodie holiday! 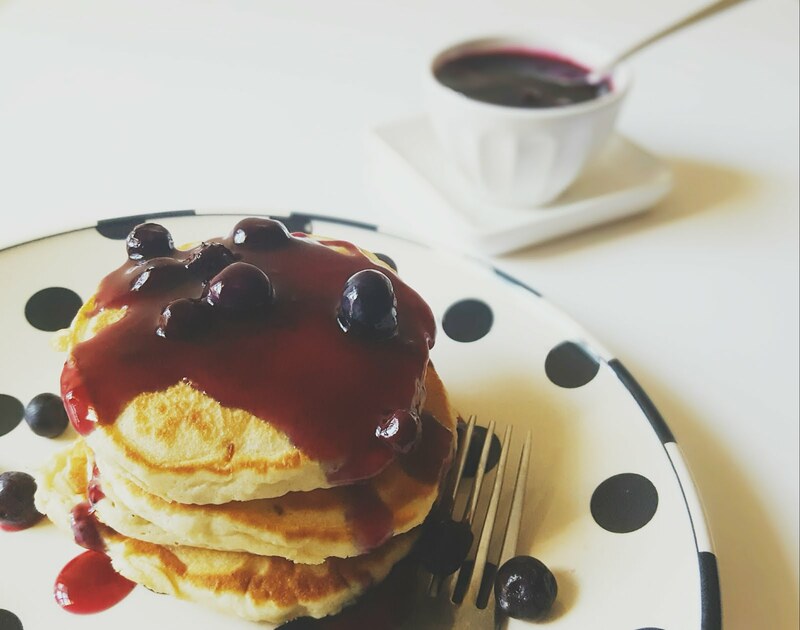 Happy National Blueberry Pancake day! Initially, I told hubby that it might be a good idea to head over to the "House of Pancakes" today to have a quick family breakfast date. Well in full Murphy's law fashion, my little one decided to wake up once an hour, every hour, last night. Those that parent little ones that like to visit you at night time can probably understand that I was a full on grouch this morning! But what makes me happy? Playing around in the kitchen. I let the rest of #TeamFife sleep in and figured I share a few pictures with you guys from this morning. I decided to celebrate this foodie holiday at home (ultimately saving money) and that really took the grouchy mood away! 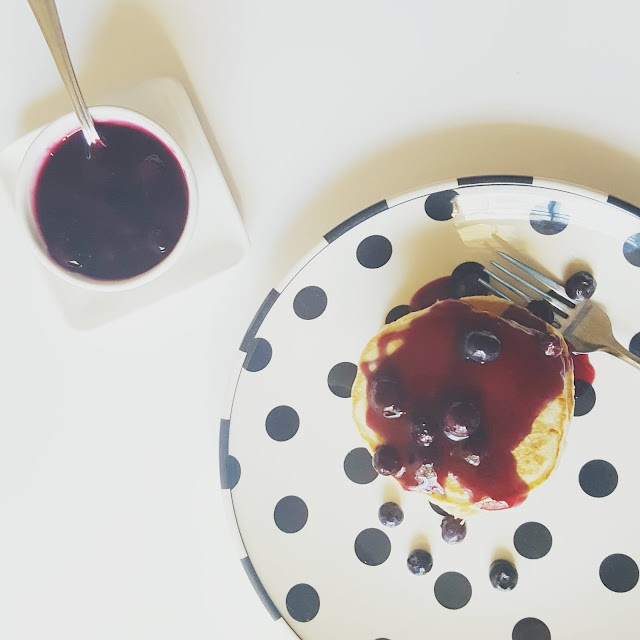 Blueberry Syrup for Blueberry Pancake Day! I had to snap my pictures quickly because #TeamFife would have probably starting picking at my plate! 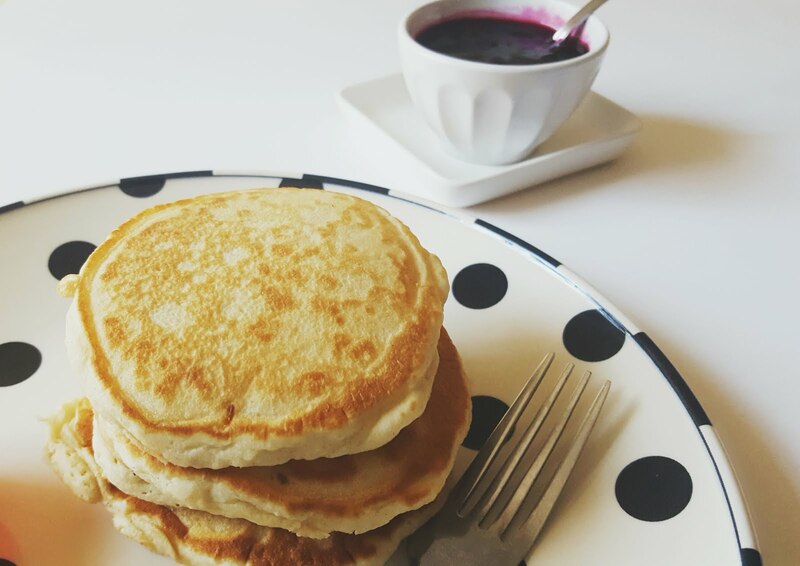 Now, look at that, no crowds, no tips, just sweet fruity atop fluffy pancakes (+ all the while still in pjs)! If you're interested in the recipe, let me know in the comments! Y'all have a great day! For more foodie inspiration, visit my Pinterest board “Foodie is on my Resume”!